21 CFR is widely followed in pharmaceutical companies and has great importance in digital documentation. 21 CFR Part 11 is well known in pharmaceuticals. The 21 CFR and its recommendations are very important in today's pharmaceutical industry. Title 21 of the CFR or the Code of Federal Regulations deals with governing of food and drugs in the United States for three of its governing bodies: The FDA (Food and Drug Administration), DEA (Drug Enforcement Agency) and ONDCP (Office of National Drug Control Policy). It consists of three chapters, each specializing in codes for these organizations. 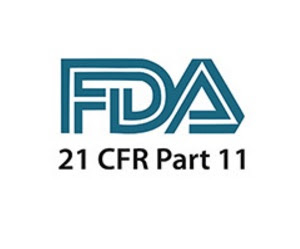 21 CFR is generally known for 21 cfr part 11 electronic signature. But it has different parts those have different guidelines to be followed in industries. 11: Deals with rules concerning digital signatures and electronic records maintenance. The next few sections deal with clinical trials. It has FDA 21 CFR part 11 requirements. 50: Rules to protect human subjects in clinical trials. 54: Full disclosure of financial records by such clinical investigators. 56: Guidelines for institutional review boards that supervise such clinical trials. The series in the 100 range relates to food. 101: It deals with the listing of nutritional values of various food items with sub-sections concentrating on nutritional elements such as trans-fat. The rest of the 100 series deals with specific food products such as infant formula, food additives, dietary supplements, etc. The 200 and 300 series deals with how drugs are advertised and guidelines to over the counter drugs and good workplace practices. The 500 series is similar to the 200 and 300 series but deals specifically with drugs and medications meant for animals and practices related to the veterinary sciences. The 600 series covers biological substances both natural such as blood and lymph and man-made such as vaccines. The 700 series involves everything from labeling to research involving cosmetics. The 800 series is meant for medical devices, their hazard warnings, approvals needed before launching such a product and other safety regulations for such devices. The 900 series regulates the devices and the standards necessary for devices used for mammography. The 1000 series enforces requirements of devices that emit radiations such as mobile phones, x-ray machines, etc. The 1100 series deals with tobacco products and expands upon the products that previously were not well defined and covered under tobacco products such as e-cigarettes, pipe tobacco, etc. The 1200 series deals with rules not included in the food, drug and cosmetic act. Some examples are pasteurization of milk, import and export of turtles as pets, etc. This part of the 21 CFR concerns with the marketing, sale and use of controlled substances and scheduled drugs. It lists the various drugs and substances that need to be controlled and would require special documentation for buying and selling. It primarily deals with rules concerning the implementation of a drug-free environment in government workplaces. These include lists of substances that are not allowed and the proper tests and procedures that employees at such places have to undergo. It also puts down the rules as to how often such tests have to be done. Though the Title 21 of the CFR and its recommendations are quite extensive there are still some ambiguity and gray areas that need to be ironed out, but all in all, it has improved over previous versions and has been updated to clear issues and confusions faced in previously unclear sections. It is necessary and recommanded for fda regulatory compliance. Very Helpful Topics ! Thank You ! Google it. However if you are in India and dont require to export to the USA, you don't need to burden yourself with this additional knowledge. Download and read WHO Technical Report Series which can be more relevant. What is meaning of title 21 ?? ?